This painting is probably one of three portraits sent to potential suitors of Maria Theresa, the daughter of Spain’s King Philip IV and ultimately the wife of Louis XIV of France. In portraying the royal family, Velázquez generally painted a bust-length portrait from life, which he and his assistants would use as a model in creating full-length versions. The freshness of the colors and brushwork in this painting stress the desirability of the fifteen-year-old princess, and suggest that Velázquez was closely associated with its production. Maria Theresa (b. 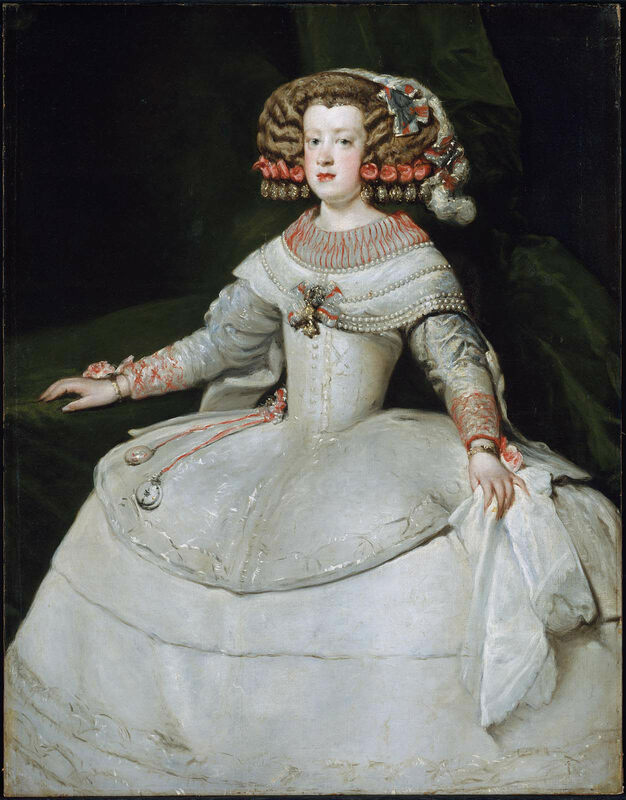 1638 - d. 1683) was the daughter of King Philip IV of Spain, to whom Velázquez was the court painter. The king commissioned three portraits of his daughter to be sent to potential suitors. 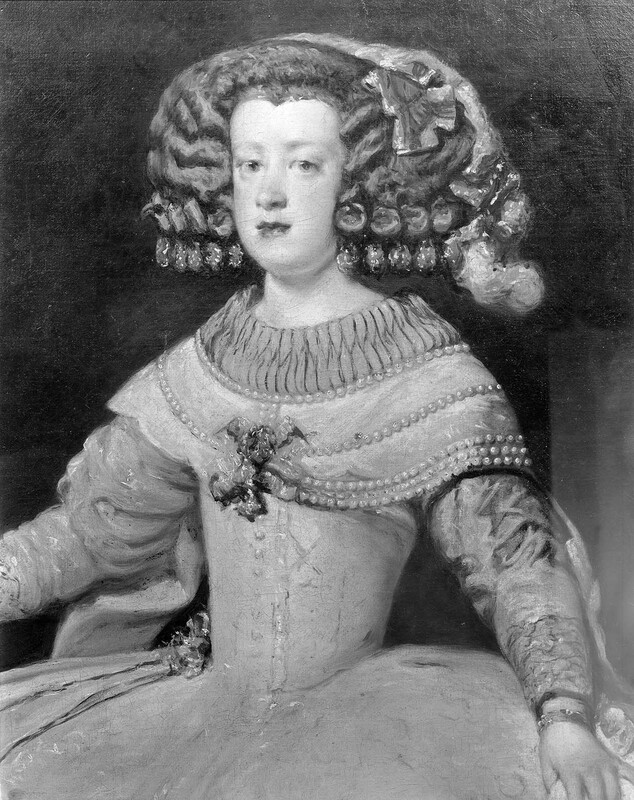 On December 17, 1653, Giacomo Querini, minster of the Venetian Republic at Madrid, reported that portraits of the princess had already been sent to Emperor Ferdinand III in Vienna and Archduke Leopold William in Brussels. It is generally accepted that the MFA portrait was the one sent to Archduke Leopold and that the portrait of Maria Theresa at the Kunsthistorisches Museum, Vienna, was the one sent to Emperor Ferdinand. See Heinrich Zimmerman, "Zur Ikonographie des Hauses Habsburg," Jahrbuch der kunsthistorischen Sammlungen des allerhöchsten Kaiserhauses 25, no. 4 (1905): 185-190 and Walter W. S. Cook, "Spanish and French Paintings in the Lehman Collection," Art Bulletin 7 (1924): 57-59. A third portrait was sent to Louis XIV, whom the Infanta married in 1660; this is at the Musée du Louvre, Paris.